I wasn't going to post any Fitness Friday posts because I wanted to get as many summer themed posts up before the end of July. But I know a lot of us do try to stay in shape even while traveling or on vacation. Today I'm sharing my favorite quick summer workouts that you can literally do anywhere and you really don't need any equipment at all, just your body! The Blogilates 30 day challenges contain some great moves that really help sculpt and toned muscles. I actually perform each move 10-30 reps and repeat each circuit 3 times. But if you are new I recommend just starting the 30 day challenge. 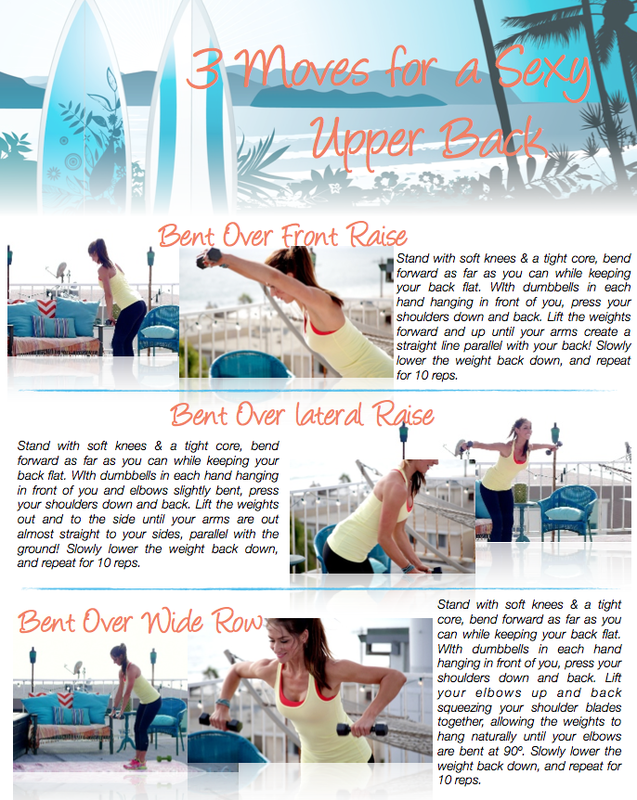 Tone It Up has a ton of workouts to choose from. But my favorites are their 3 moves series. They are quick, fast and leave you sore in the morning (the good kind of sore). Do you workout during summer or while on vacation? ooooo, i may have to save this post! I'm in desperate need of working out but too lazy to go to the gym even though i'm paying for it :( this looks simple enough that i can start slow and ease myself into harder exercises.